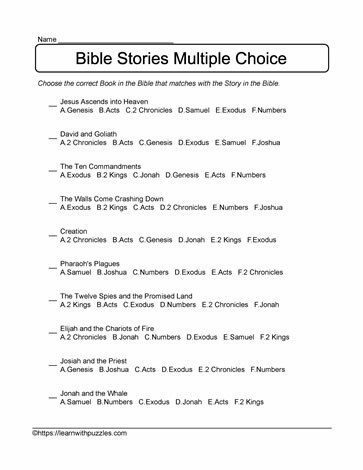 More multiple choice questions to help children learn about bible stories and what books in the bible they are found. Suitable for middle school students in grades 4,5,6 as well as home scholed students. Challenge family and friends to see who can be the first to complete this printable puzzle.